It’s a measure of how successful a model is when it not only completely changes the automotive landscape but it also remains the segment class leader and surprisingly fresh ten years into its life. Nissan and the Qashqai have achieved all this and more, so to call what initially seemed like a risky venture a success would be an understatement. 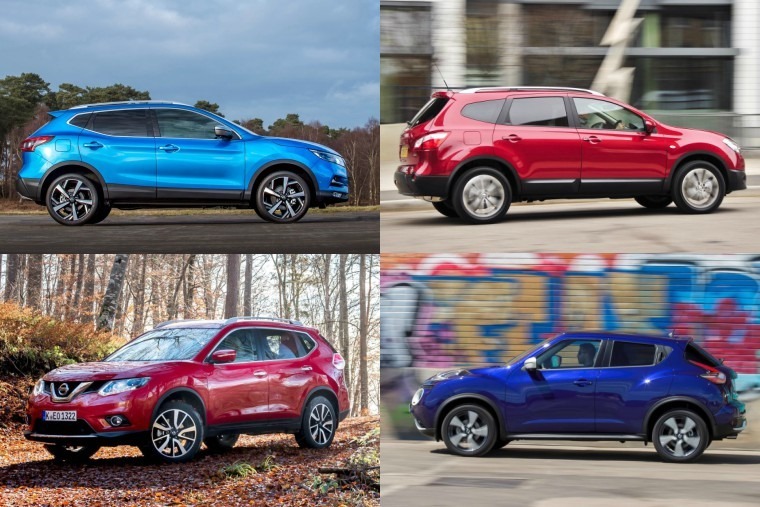 As the Nissan Qashqai celebrated this milestone anniversary earlier this year, and ahead of the release of the third-generation model this summer, we thought we’d take a look into the history of one of the most popular leases on ContractHireAndLeasing.com and raise a toast to its influential and meteoric rise. Built at Nissan’s Sunderland plant since December 2006, the Qashqai was the first model to be styled by Nissan Design Europe in London, with engineering development led by Nissan Technical Centre Europe in Bedfordshire, meaning it’s about as British as the Japanese manufacturer can get – like some weird sort of roast dinner sushi roll. Like this purely hypothetical roast dinner sushi roll, which we assume would divide opinion were it to ever appear on a menu, when it came time for the Nissan Qashqai to debut their concept at the Geneva Motor Show in 2004 the automotive world as well as the wider motoring public were naturally dubious. This was not only due to Nissan’s track record in the years preceding, but arguably due to the very conservative tastes and dislike of change that permeates most opinions surrounding anything with four wheels and an engine. As such the automotive media was reluctant to accept there was a market for Nissan's strange new SUV/hatchback hybrid and it was greeted with scepticism. A laughable viewpoint in hindsight. But before all this we must cast our minds even further back, to 2002. Having clawed its way out of imminent bankruptcy thanks to a cash injection from Renault which bought them a controlling interest, Nissan was desperately trying to get back to winning ways. Unfortunately, popular opinion within the company meant a third attempt at going toe-to-toe with the Ford Focus and Volkswagen Golf and the production of another Nissan Almera. 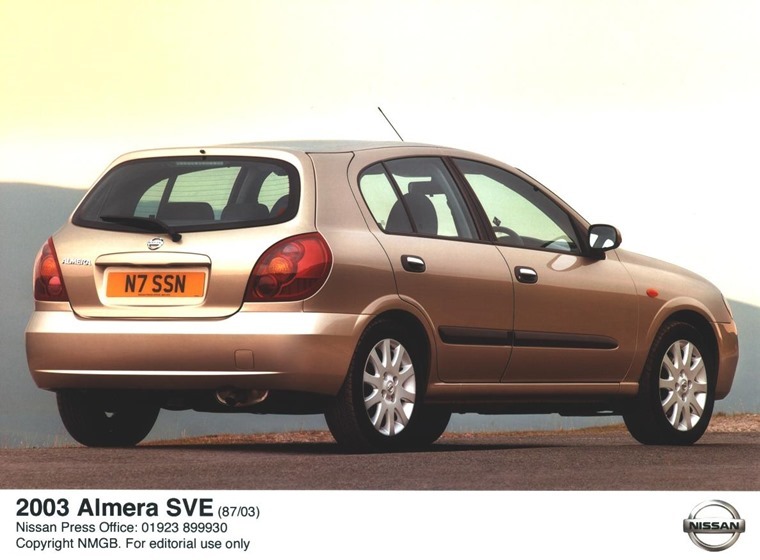 In early 2002, a 25-strong team of Nissan engineers travelled to the brand’s technical centre in Japan as part of a 12-month project to develop this next-generation Almera. The project was to determine the specifics – what would it look like, what engines would it use, how would it perform. Initial ideas were that it would be different to the outgoing model, with a slightly larger footprint than the previous generation, competing against the likes of the Seat Altea and Volkswagen Golf Plus. Nine months into the process, it soon became clear that its replacement needed to offer customers something better and the team came to several painful conclusions. The most fundamental were that the new car would not be as profitable as was required, and would not deliver on what customers had come to expect from the company. Rather than stubbornly going the ‘business as usual’ route, Nissan took a zig just as they were about to zag and scrapped everything to start back at square one. That meant analysing the car buying public and asking if another Almera was something they really wanted. We had crunched the numbers, and the new Almera just wasn't going to be as competitive as we'd hoped. It didn't reflect Nissan's core values of innovation and excitement, or the direction that the business was taking with products like 370Z and X-Trail. Fifteen years later, what they discovered proved to completely alter the face of the automotive world. That big discovery? Buyers who naturally gravitated to C-segment cars were now moving towards MPVs and 4WD vehicles as they liked/wanted/needed more size, increased ride height and drivability albeit without needing all of the other bells and whistles from these segment vehicles. Nissan set out to find and design that in-between vehicle so it would be waiting with open arms for this theoretical motorist. 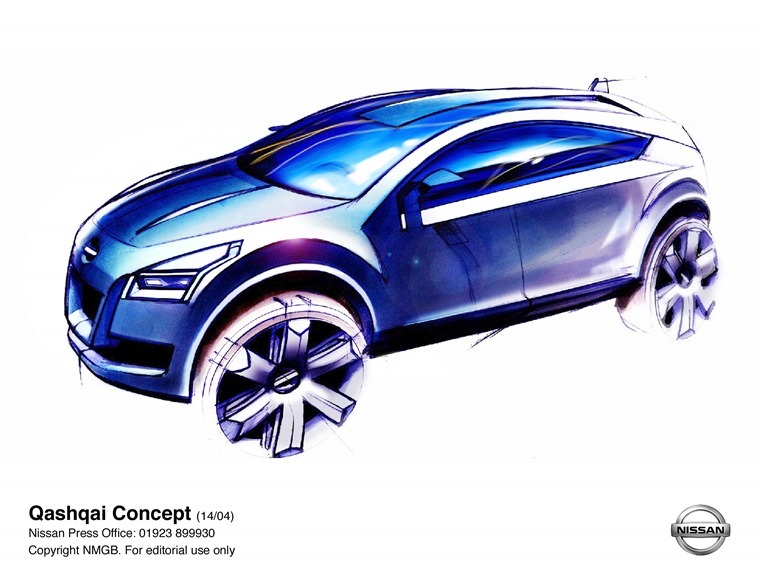 We came up with the idea of a sort of mini-Murano, which we believed would break down some of the barriers to SUV ownership. It was a car that would be developed and positioned to challenge the conventional hatchback and saloon volume segments in Europe. Alas, when something is theoretical it is usually a risk. And when a company is just emerging from near-bankruptcy, they tend to be risk-averse. Yet, by sticking to their instinct, and backed with comprehensive analysis and data, Nissan pushed ahead to not only invent a new segment but to define it for years to come. 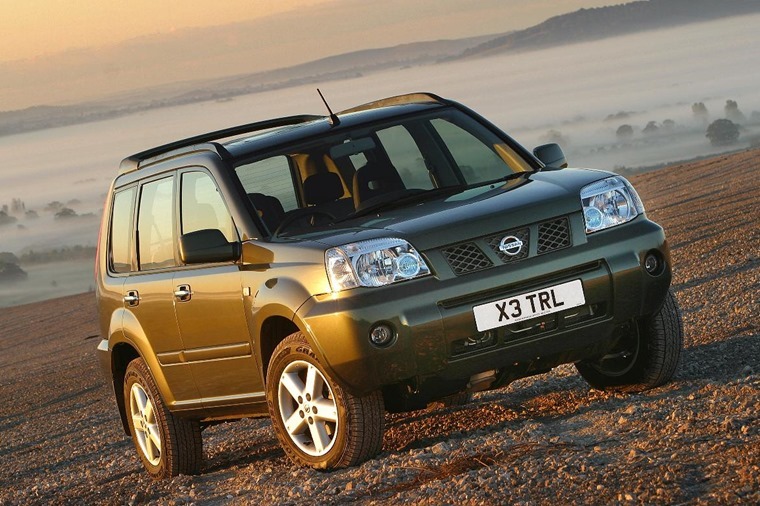 Back in 2002, Sports Utility Vehicles (SUVs) were rising in popularity. Despite this, there were still considerable barriers to SUV ownership for many hatchback and saloon buyers, who were traditionally quite conservative in their car choice. Nissan customer clinics had highlighted that SUVs were considered too large for around-town manoeuvrability and general everyday usability, plus people didn’t like the poor fuel efficiency and lacklustre interior quality. We managed to persuade the business that we could break down some of these barriers by taking the best bits of a family hatchback and adding the elements of SUVs that are most attractive to customers. And so, the idea of the first ‘crossover' was born. What followed was a period of research, focused primarily on assessing the viability of creating a vehicle that would be a baby brother to the popular X-Trail – something with the desirability, practicality and versatility of an SUV but with the size, driving dynamics and running costs of a family hatchback. The phrase coined internally to focus everyone’s thoughts was ‘urban nomad’. With no precedent to follow, and no direct competitor vehicles to benchmark against, Nissan set about developing a simple set of parameters to help in establishing the dimensions and performance indicators for its first crossover. We retained the higher seating position, larger wheels and ground clearance of an SUV, but re-engineered the cabin so the passenger would feel they were sitting inside the car and not on top of it. A high arm-rest position, high sides and a passenger car-inspired centre console configuration gave Nissan the driver-oriented interior required to appeal to traditional hatchback customers. The car was unveiled as a concept at Geneva Motor Show on 2 March 2004. It was called the Qashqai, a word derived from the name of an Iranian tribe and linked to the car’s positioning as an ‘urban nomad’. It was greeted with scepticism, with the automotive media turning their nose up at the vehicle, reluctant to accept there was a market for Nissan's strange new SUV/hatchback hybrid. Many of their articles had the same reservations that we'd met from within the business – did a crossover really represent the best of both worlds, or simply fall short of the mark for both hatchback and SUV drivers? 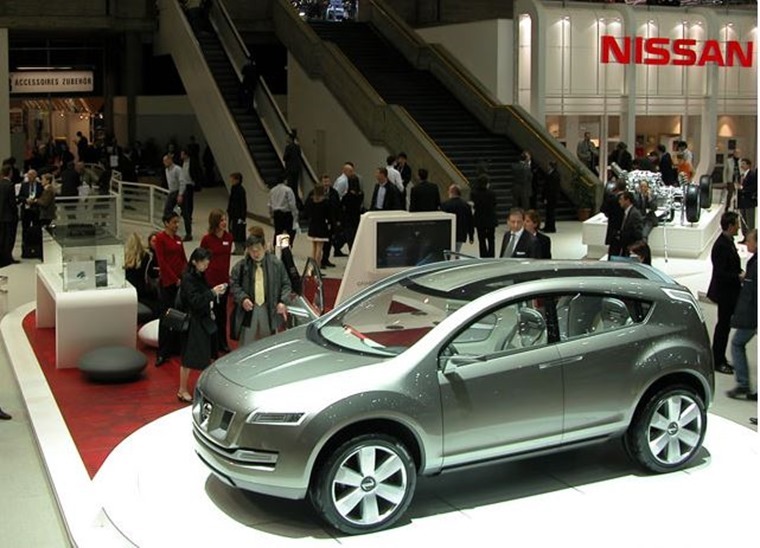 Forging ahead, the world’s first urban crossover production car made its debut at the 2006 Paris Motor Show. 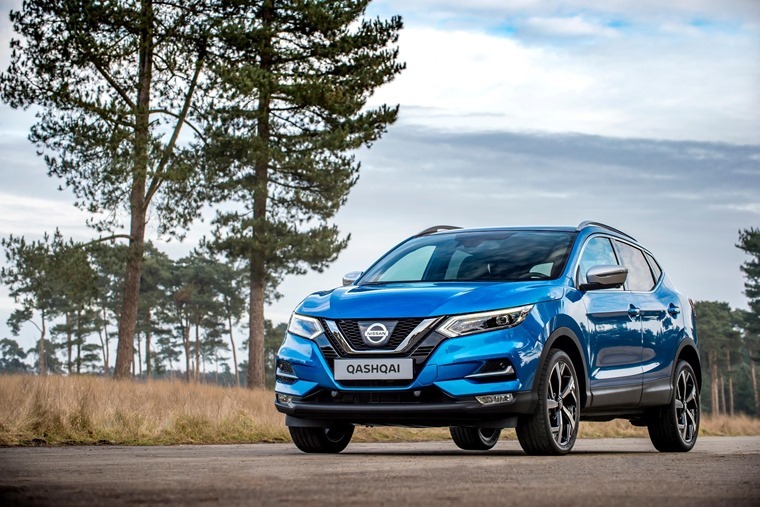 Nissan’s clear vision of the Qashqai’s position in the market – coupled with the highly refined driving experience – started to win sceptical journalists over. The Qashqai went on sale in February 2007 and was a hit with customers from the very start. By the end of that year, more than 100,000 Qashqais had been sold in Europe. The biggest market was the UK, where 18,000 of them were shifted. The awards started to flood in, with 14 in the first year alone covering everything from SUV and urban car sector wins, to prestigious ‘Car of the Year’ titles and fleet sales honours. Fast forward to today and the results speak for themselves. All-in the Nissan Qashqai has sold 3.3m units globally, a staggering success, and to this day it remains in the top ten for most enquired vehicles on our website. 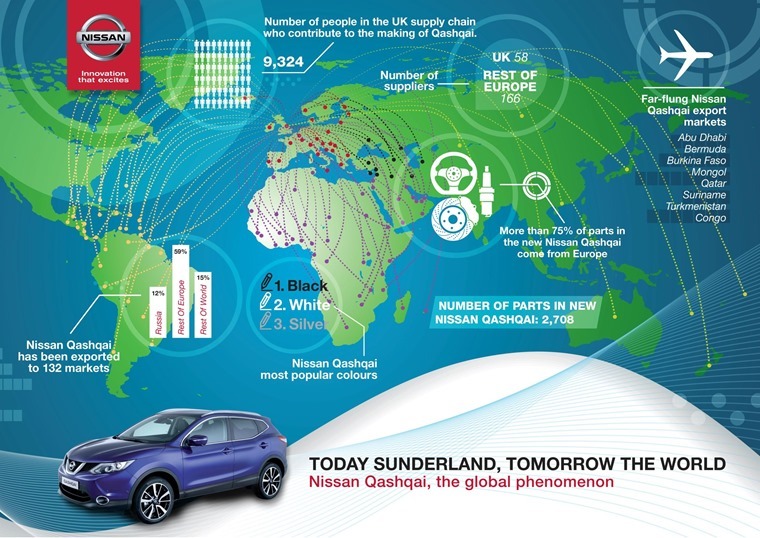 With these numbers in mind, and with every major manufacturer having followed Nissan’s blueprint in the ten years since, the Qashqai has not only helped define the crossover market but also helped make the SUV segment the biggest in the industry. In the years between risky idea and tenth anniversary, we’ve seen a mini Qashqai arrive (the Nissan Juke) a big Qashqai come and go (the Nissan Qashqai+2) and the old reliable X-Trail receive a Qashqai-tinged transfusion into its design language. 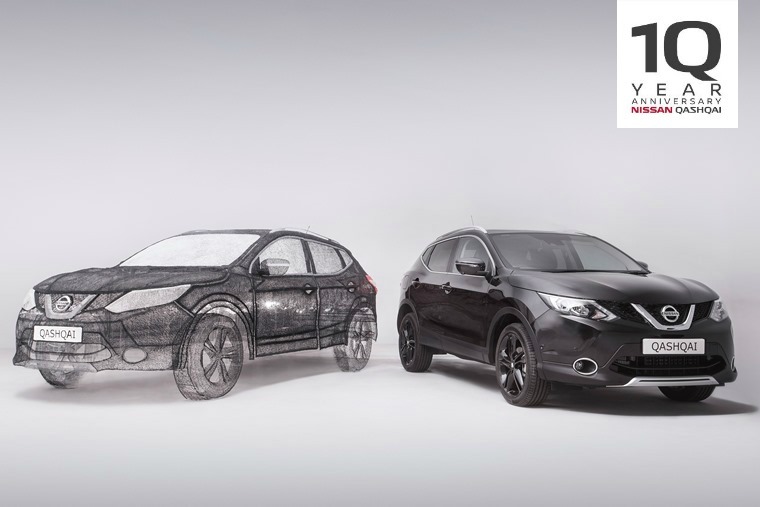 There have also been three new versions of the Qashqai over that decade, and coupled with clear and consistent positioning as the ultimate urban vehicle it has led to sustained sales growth. It’s a car which has defied the convention of product lifecycles, increasing sales by 79% since 2007, and today it remains the class leader with a 10.5% share across Europe. The Nissan Qashqai is no longer a risky venture, it is a dynasty. Just look around for proof of that – you’ll not only see plenty of them on the road, you’ll see plenty of copycats too.